After Fatu Hiva and the rest of the Marquesas, after the Tuamotus and pearls and drift snorkeling and Heiva, how can anything more be as exciting? 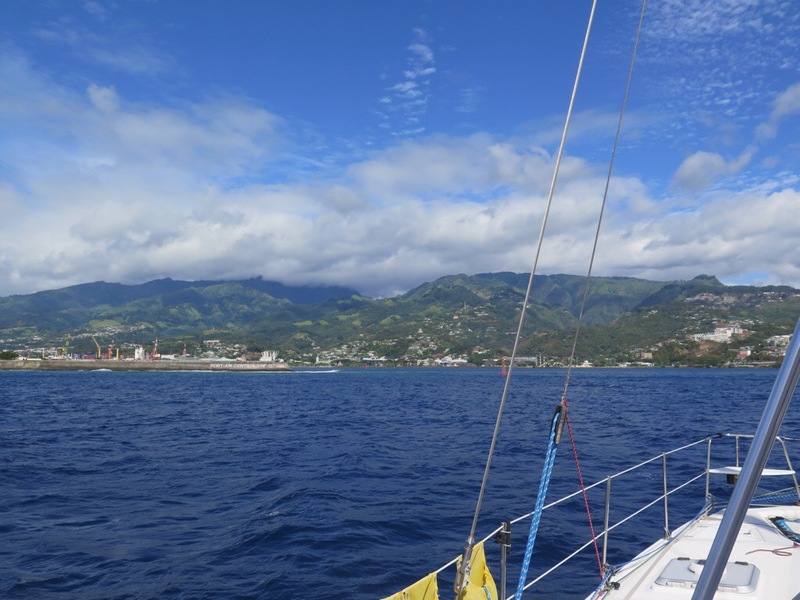 But as we spied the distinctive profile of Tahiti and sailed along the coast toward Papeete, we kept hugging each other with delight that we now find ourselves in a place that’s dazzled ocean travelers for centuries. What’s more, we haven’t been in a proper city for six months and our pockets are vibrating with the prospect of retail joy. But first things first. We called Tahiti Port Control on VHF and requested permission to enter the harbor, necessary because the airport is right here on the water and a low flying plane might make quick work of a tall mast. We were given permission to proceed and tiptoed toward the city marina, right on the main street of downtown. Our friends on Enki II had arrived hours earlier and helped us choose a spot and tie up. Also on hand were Mark and Eileen from Wavelength, who hosted an engine repair party on their boat in Tahuata months ago. And then we saw more and more boats we’ve met and befriended throughout Pacific journey so far. We say hello and goodbye all the time, and every new hello gets sweeter as the friendships deepen. It’s Monday and the first thing we learned is that the local brewpub does a half-price happy hour on Mondays. We’ve both been up all night and all we want to do is sleep but how can you pass that up? We tidied up as best we could, registered at the marina office and paid for a week at the dock, then walked (walked! no need to dinghy!) 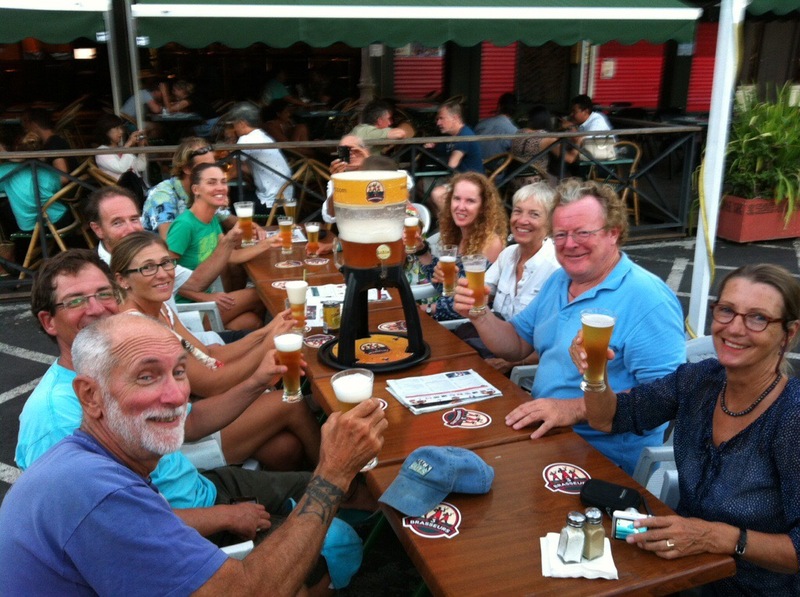 to the noisy, crowded streets of Papeete to a wonderful brewery right on the main drag. The beer flowed, Jack had a burger, we twelve intrepid sailors celebrated our outrageous good fortune. We can’t stop smiling.